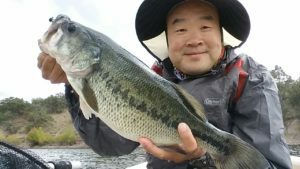 A couple of photos to share of the fantastic fall bass “catching” at Parker Canyon Lake. 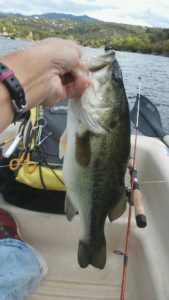 I managed to catch a number of nice bass off an underwater ledge using a small jig. The weather was windy, 15mph +, and cold, upper 50’s. These bass were caught in water over 15 feet deep. Lots of fun!